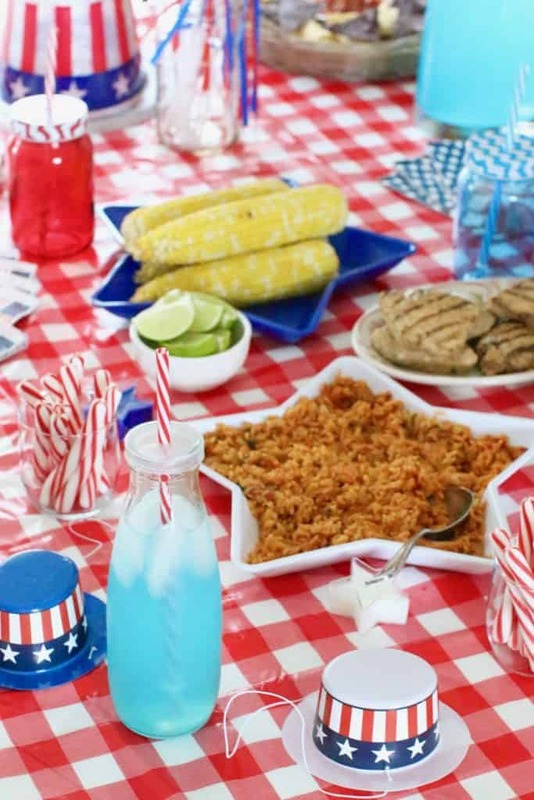 I feel like this post should be the called ‘The Lazy Girls Guide to Hosting 4th of July.” Ha! 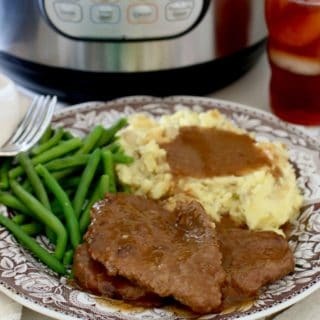 I’m going to show you my “lazy” way of hosting (and cooking!) for all your 4th of July celebrations. 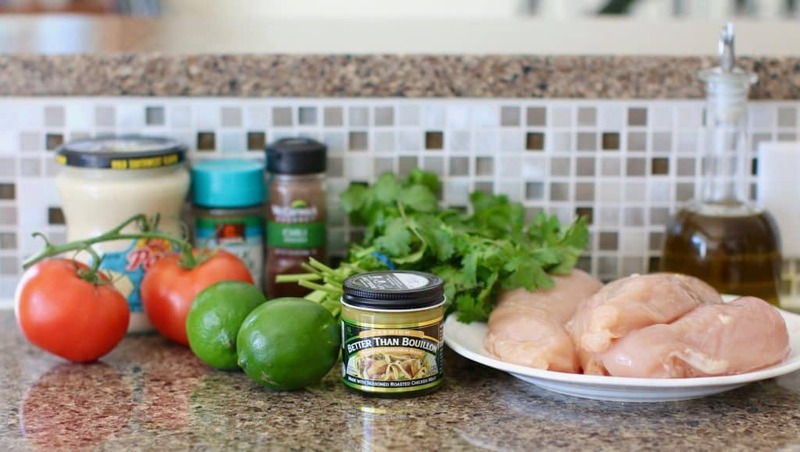 I’m also sharing a new recipe for Grilled Lime Chicken with Queso Sauce down below! I bought every single one of these decorations (including table cover) at the dollar store. It keeps it cheap and easy! 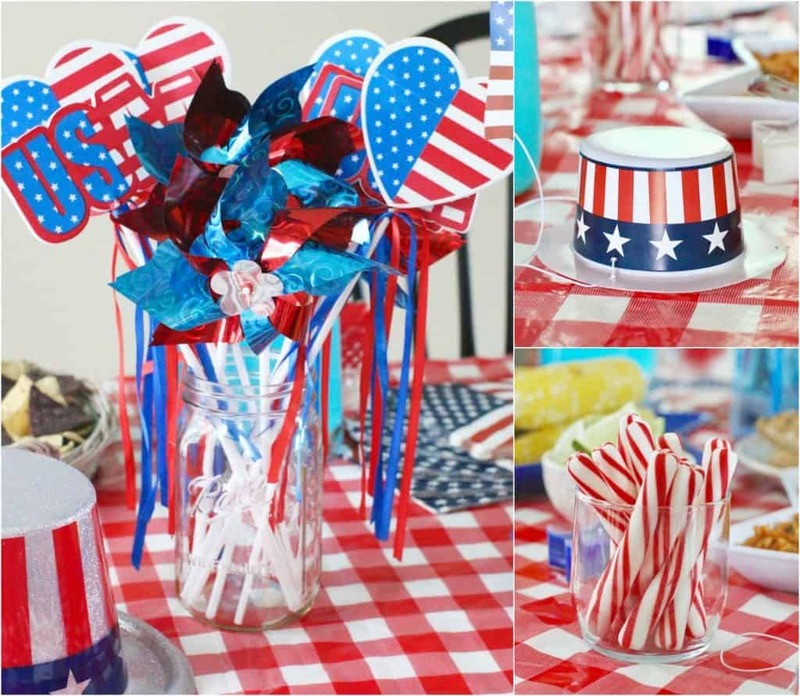 For any party, especially if there are kiddos, you’ll want to have some fun stuff for them to play around with. But you’ll also want some fun props for those impromptu selfie sessions. 😉 So I picked up these little ‘USA’ wands and red & blue pinwheels. Great for kids and great for adults. They also had these adorable little hats. I feel like that is a cute doggie picture waiting to happen! Also, I saw those little mint sticks and knew they would look perfect on my patriotic table setup. They are the perfect color but are also perfect for an after-dinner mint. For the main dish, I’m serving up this Grilled Lime Chicken along with some easy and family-friendly side dishes and drinks! I like to put out colorful chips and salsa. 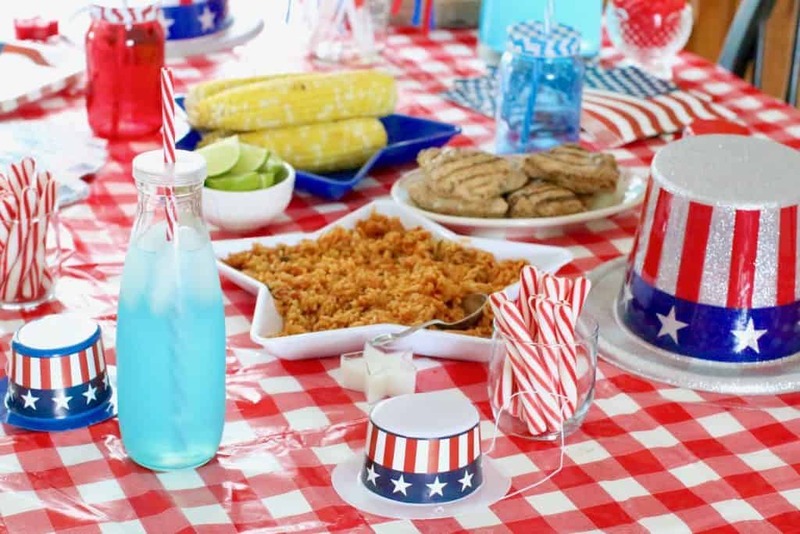 You can get the blue corn tortilla chips and sweet potato tortilla chips and they suddenly become a patriotic appetizer! 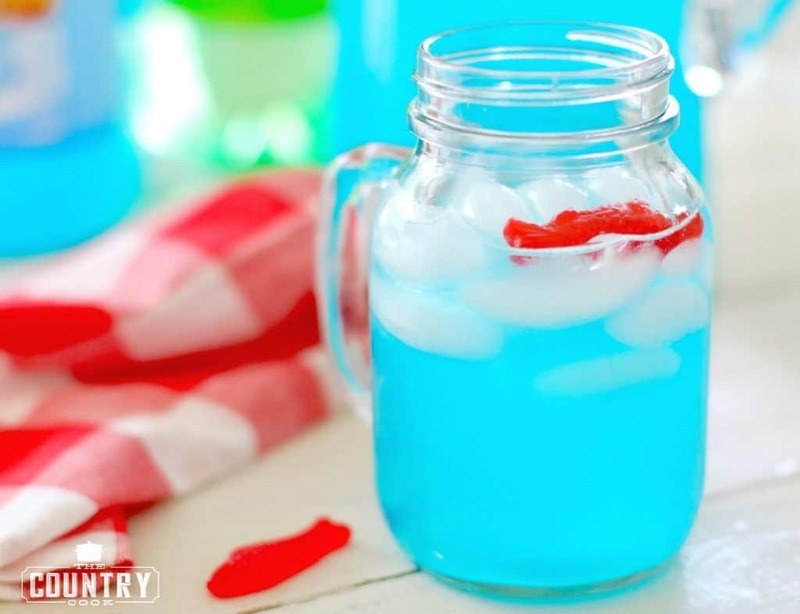 I also make my Ocean Water Punch because it’s only two ingredients, it’s blue and it’s yummy! 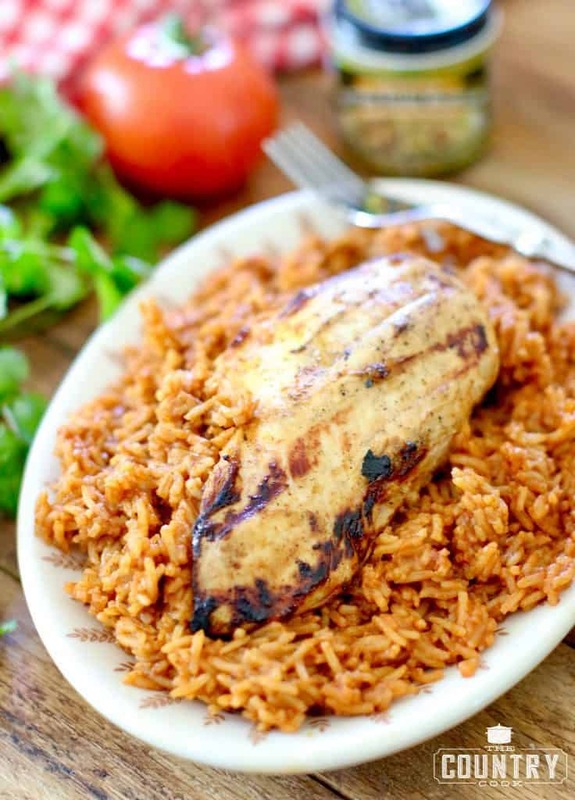 The grilled lime chicken goes perfect with my 3-Ingredient Mexican Rice. Yes, only 3 ingredients! 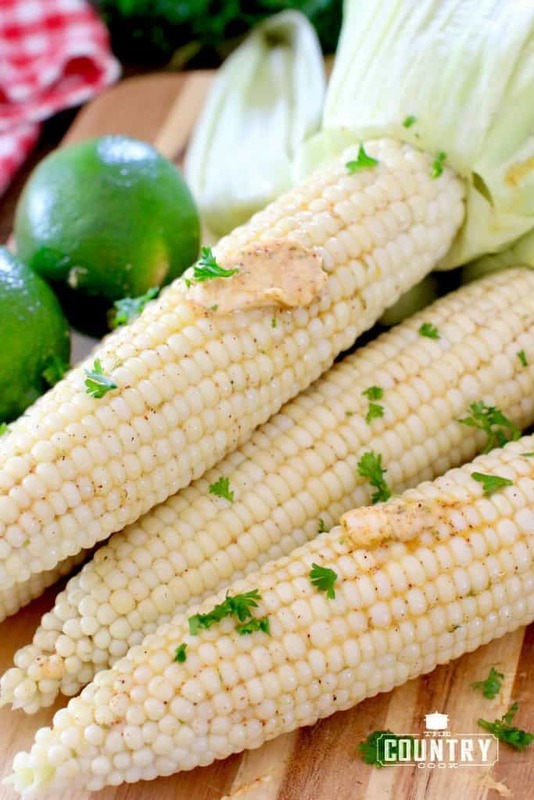 Also, I serve it with this Grilled Chili-Lime Corn (you don’t even need to shuck the corn first) and it uses the same ingredients that you use in the chicken marinade. Easy peasy! 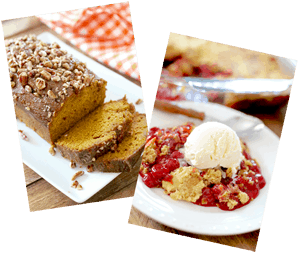 Just click on any of the photos to take you to the individual recipes! All I do is place all the cooked food out on the table and keep it buffet style. Note: I cut the cooked chicken breasts in half to make it easier to serve and the portions a little smaller. The key to being able to relax at your own gathering is to let people just serve themselves. And of course, grilling will keep the dirty dishes to a minimum. I put out paper plates and napkins to make clean up as easy as possible! Don’t forget trash cans. Put out a few so folks can easily find them! 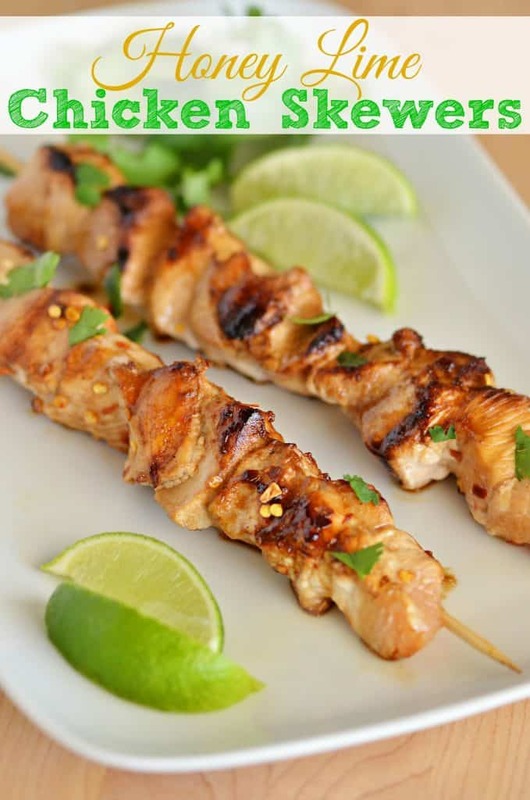 So let’s get to the star of this show – the Grilled Lime Chicken! 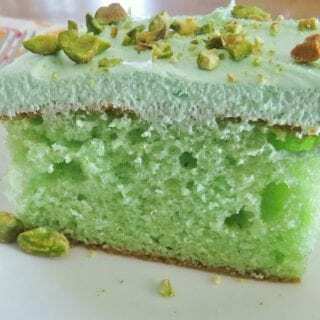 It has simple, fresh ingredients. 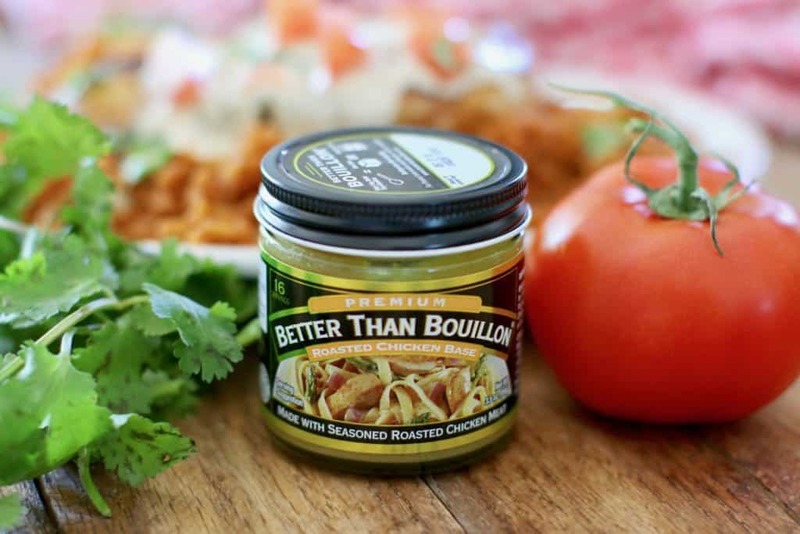 But the surprising ingredient for the marinade is Better than Bouillon® Roasted Chicken Base. It takes this chicken from being good to outstanding! Everyone will want to know your secret! I also use it in my Grilled Chili-Lime Corn recipe. This stuff is so versatile! 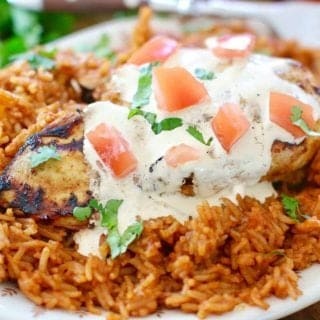 I top the grilled chicken with a mild queso sauce, diced tomatoes and a bit of chopped cilantro. 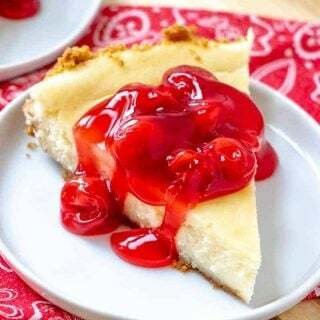 That is all completely optional but it adds to the layer of flavors! So good! Combine first 6 ingredients in a gallon-size zip top bag. Close bag and squish it around with your fingers to combine ingredients. The Better than Bouillon measures out so easily. The flavor is just like roasted chicken! Add in chicken breasts. 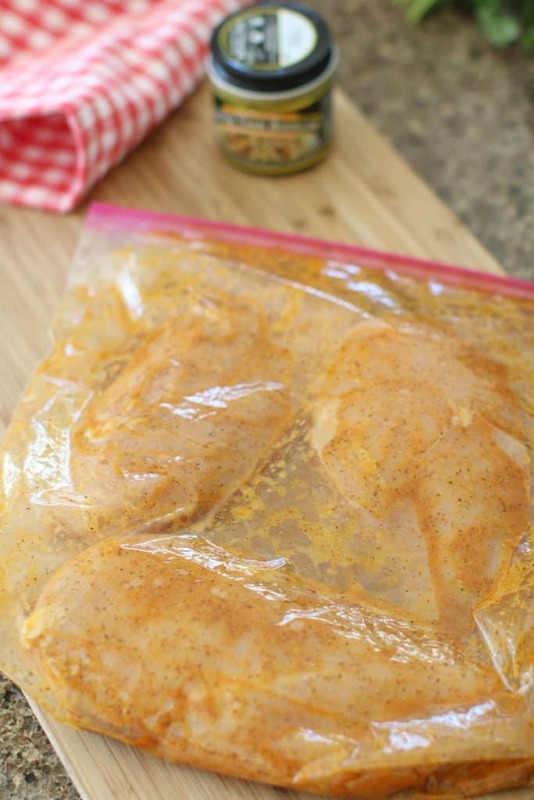 Squish it some more to make sure the marinade coats all the chicken pieces. 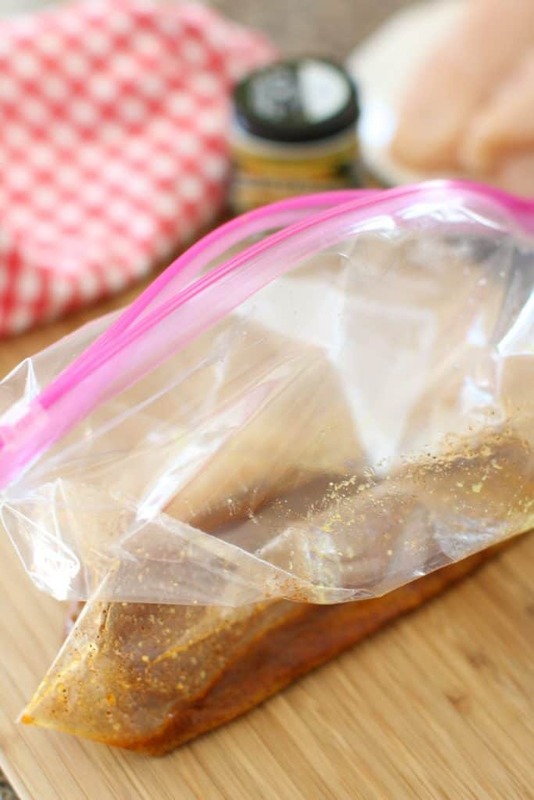 Place bag into the refrigerator for at least 2 hours. When ready, preheat grill to medium-high heat. 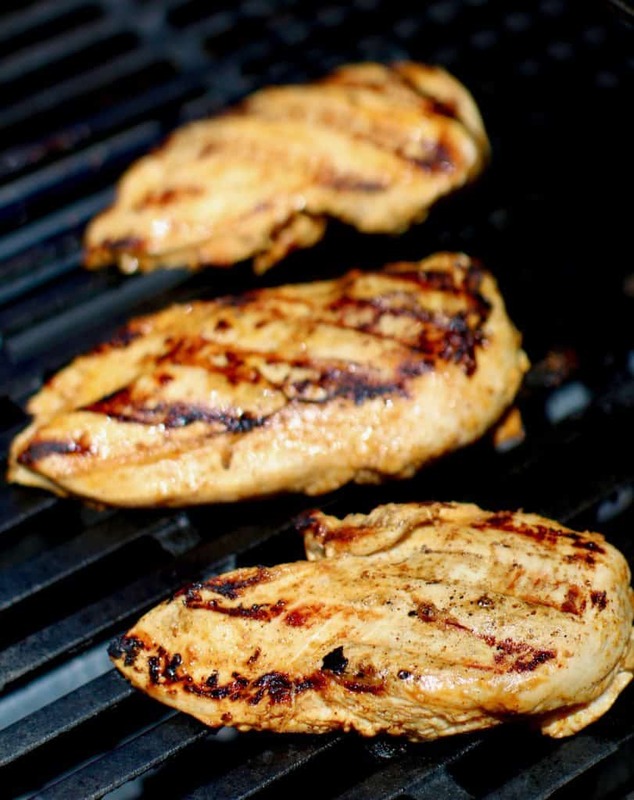 Grill chicken on each side until internal temperature of the chicken reaches 165f degrees. 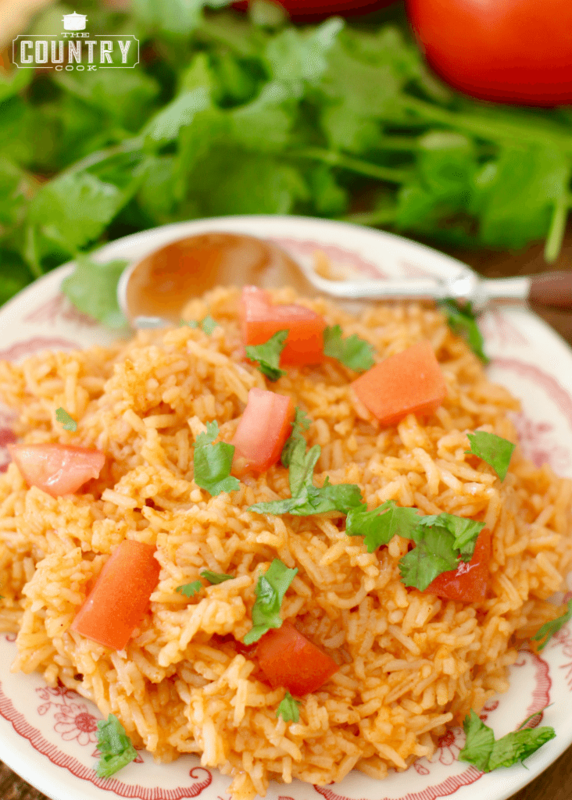 While chicken is cooking, prepare 3-Ingredient Mexican Rice. Warm up queso dip (this can be done on the stovetop or in the microwave). 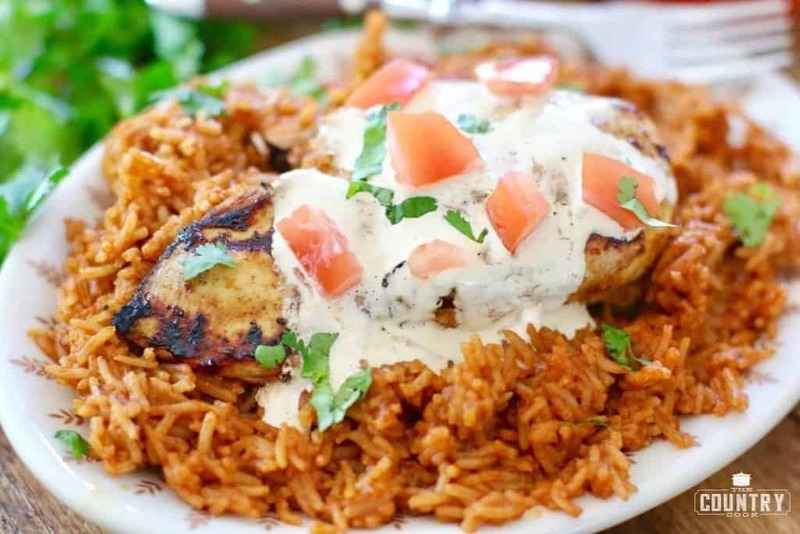 When chicken is ready, serve on top of rice. 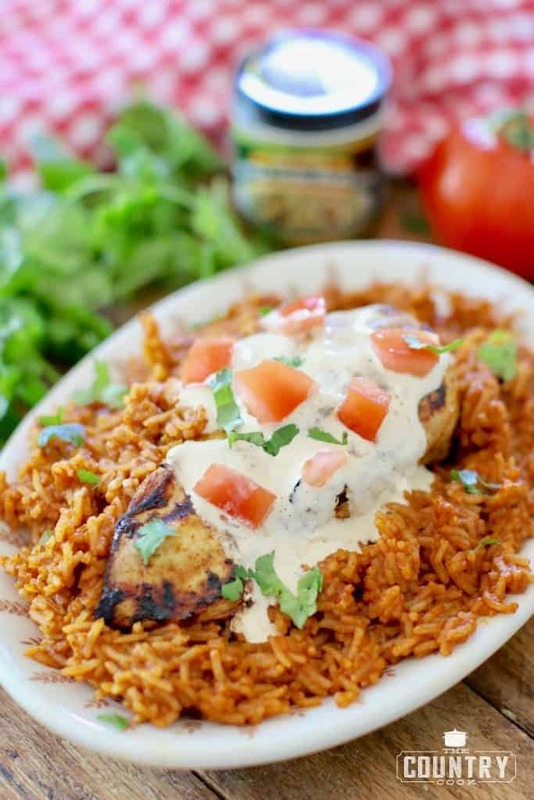 Drizzle warm queso on top of chicken and garnish with diced tomatoes and cilantro. 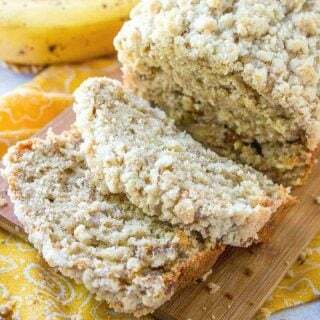 Did you make this recipe?Share it on Instagram @thecountrycook and mention us #thecountrycook! Get MORE of The Country Cook! Be the first to get notified of the newest recipes. FREE! Looks like a great party to me! That chicken sounds amazing too! Have a great week! Brandie, this chicken looks sooo yummy! And pretty much healthy…wouldn’t you say? 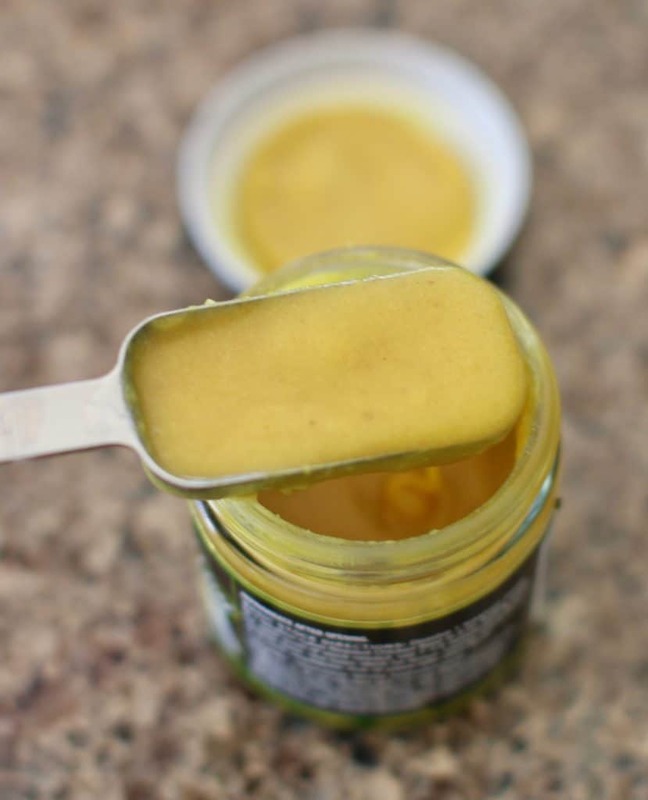 And I also use that Better Than Bouillon base. That stuff is so awesome! I use it for everything! I have a question for you though. 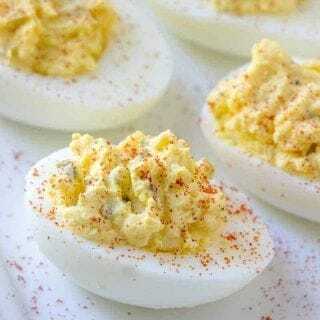 What particular chili powder do you use? Every time I buy a bottle I’m the grocery store (usually store brand), it doesn’t have much flavor. I always thought they tasted too much like paprika. I want to make this chicken recipe, but I want to find a chili powder that isn’t so bland and boring. Suggestions??? Also, do you know how to make homemade queso sauce? 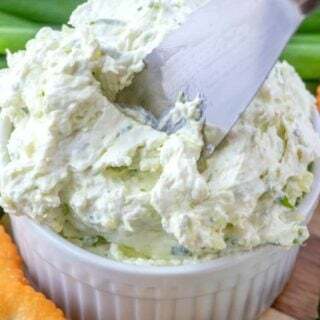 I’ve always wanted to try making my own queso sauce/dip, but I have trouble making heads or tails of all the different Mexican cheeses at Walmart! LOL!